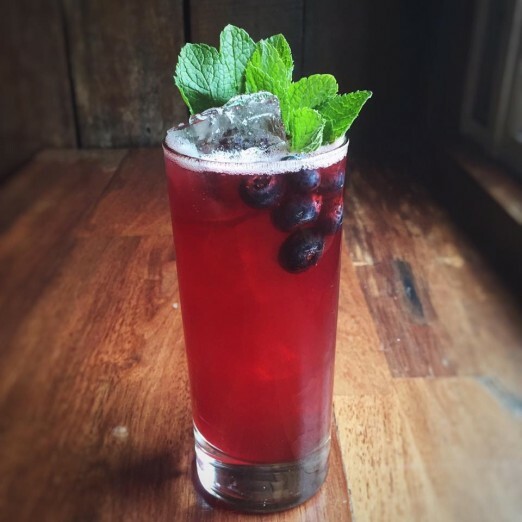 The Afton Cobbler: gin, two types of sherry, Lucano Amaro, blueberry, mint, lemon and soda. One of the coolest things about writing for We Heart Astoria is getting the opportunity to share the stories of our fantastic small business owners. 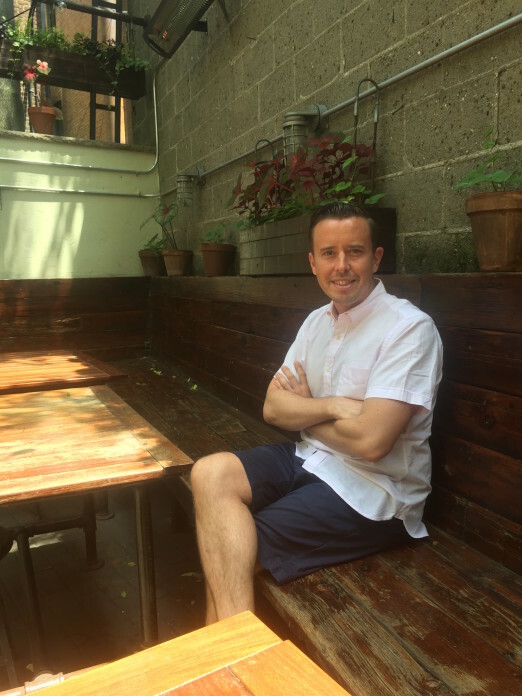 I was excited to profile Ruairi Curtin, the owner of Sweet Afton and The Bonnie, specifically because many Astoria stories begin at these venues. So many first dates, birthday celebrations, and dinners with family from out of town take place at these bar/restaurants due to their comfortable environments, exciting cocktails, and stellar food. To learn how our neighborhood and these popular spots influence and complement each other was a real treat. Without further adieu, I’ll let Ruairi take it away! Being great neighborhood bars. We offer a place to meet like-minded people and strike up new friendships. Our friendly staff, progressive beer and cocktail program and delicious food keep people coming back. 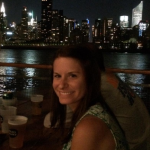 I moved to New York from Ireland after graduating college almost 17 years ago. I was offered a corporate internship position with an Irish consultancy company in Manhattan and I jumped at the opportunity, but living on an intern’s wage, finding an apartment in Manhattan wasn’t an option for me. The low rents lured me to Astoria, and even after it was no longer an economic necessity to live here, I stayed out of choice, for almost 15 years. I love the neighborhood. I was sad to have to move to Manhattan two years ago for work purposes, but I will always be a Queens boy at heart. I’m in Astoria for work about three days per week now, but I miss living here every day. Eventually I hope to move back. 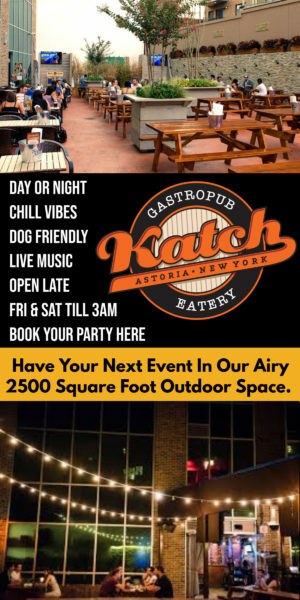 What made you decide to open a bar/restaurant in Astoria? Astoria fifteen years ago was very different world from what it is today. While it’s always had an incredible sense of community, at that time it lacked the progressive bars and restaurants that were opening on every corner in downtown Manhattan and Brooklyn. With that void in the market, and a love for and a belief in the neighborhood, we set out to create a great local bar. Making friends. I’ve struck up some of my closest and most valued friendships at the bar, and I know many of our patrons have as well. Beyond great friendships, there have been many marriages, babies, and happy memories all sparked up there. 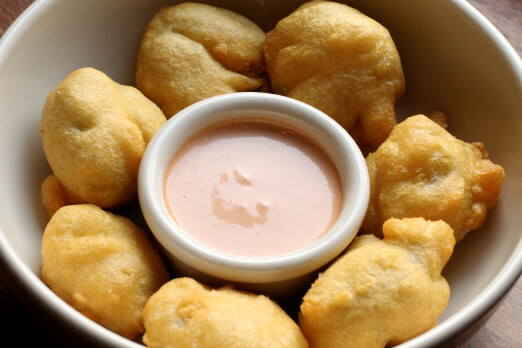 Sweet Afton’s beer battered fried spicy pickles will always be one of my all time favorite snacks. I never grow tired of them. As far as drinks go, I’m a rum guy: at The Bonnie, I’m obsessed with our resident mixologist Mike Di Tota’s new tiki drink, Kokomo. It’s made with aged rum, cachaça that he infuses with yerba mate, coconut and Thai basil. Dangerously easy drinking. Fried pickles, burgers, avocado toast during brunch, our rotating local craft beers, and our delicious cocktails. I think our burger stands up against the city’s greatest burgers. Il Bambino, Vesta, Mar’s, Bahari, William Hallet and Pachanga Patterson are my top picks for food in the neighborhood. What’s a hidden Astoria secret you feel like people don’t know about that you love? I almost don’t want to spread the word about this because I want to keep it a secret, but one of the best cheap bites in Astoria are the tacos at La Cabana, the bodega around the corner from Sweet Afton on 30th Avenue and 34th Street. They serve some of the most excellent Mexican food I’ve found in New York City. Another good tip: when you need a guacamole fix in a hurry, the avocados they sell are always absolutely, perfectly ripe. Astoria has so many fantastic spots now. I love The Ditty, a terrific new bar on Ditmars. It’s great to see a couple of old Sweet Afton bartenders go out on their own and start something new in the neighborhood. It’s an awesome spot to pull up to the bar for a beer. I’m also a big fan of Sparrow Tavern, the Beer Garden at Bohemian Hall, and Diamond Dogs. Pachanga Patterson is great for a margarita, barman Jay Kahn at Sanfords makes a beautiful Old Fashioned, and Daly’s pours the best pint of Guinness in the borough (and those are strong words from an Irish man). We always hit up the Museum of the Moving Image and Socrates Sculpture Park, and afterward I take them out for great Greek food at Bahari on Broadway. My favorite food is grilled octopus, and Bahari’s is the best of the best, in my opinion. Everything there is fresh and perfectly cooked. Astoria has always had great people at the heart of its community, but fifteen years ago it lacked new and exciting businesses. Over the years, it has changed from a gritty old neighborhood to one that has immense, innovative new dining options. Meeting great people and being a catalyst in helping others create new friendships. 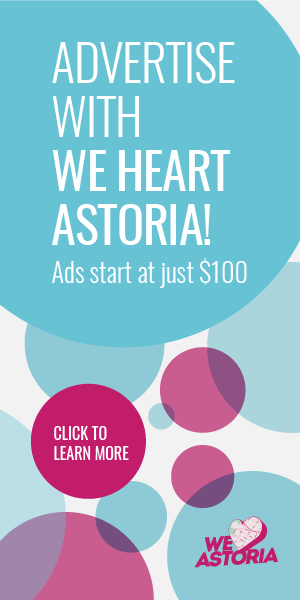 I’m very proud of playing an active role in contributing to the wonderful, ever-evolving community that is Astoria. The community is lucky to have you, Ruairi! Thank you for taking a moment to share your story with us!